For any cancellations, refunds will be made subject to the following conditions. The cost of the trip is payable in two installments. 50% are to be paid at the time of booking, the remainder to be paid at least 21 days before departure. If you have any questions regarding this, please let us know at advance. In order to confirm the reservation of any tour service provided Cotopaxi Travel Ecuador we require a pre-payment of 30% of the tour price. The remainder is to be carried out before climbing tour or travel starts. Our offered prices and rates are net prices in US$, depending on the payment form charges, fees and/or commissions which are chargeable to the client may apply , e.g. paypal +6%. On your final invoice we credit you with the US$ net amount of the prepayment or payment we received. 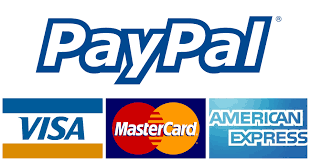 In order to make a payment with Paypal or credit card to our Paypal account (account holder: Cotopaxi Travel (paypal@cotopaxi-travel.com), please confirm the amount (pre-payment and/or remainder) to be charged with Andes Alps, then click the “PayPal” button below, you will be prompted to fill in the amount and your payment details. Payments in US $ with Paypal account or credit cards. Make payments with PayPal – it’s fast, free and secure! In order to make a payment by wire transfer or deposit to our bank account in $USD, € or CHF please contact us for banking information and to confirm the amount (pre-payment and/or remainder) to be charged.